Erik Olin Wright's theory of contradictory class locations, which incorporates Weberian sociology, critical criminology, and anarchism, is an example of the syncretism in neo-Marxist theory. 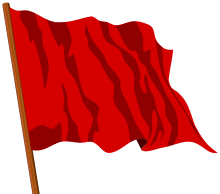 As with many uses of the prefix neo-, many theorists and groups designated as neo-Marxist have attempted to supplement the perceived deficiencies of orthodox Marxism or dialectical materialism. Many prominent neo-Marxists, such as Herbert Marcuse and other members of the Frankfurt School, were sociologists and psychologists. Neo-Marxism comes under the broader framework of the New Left. 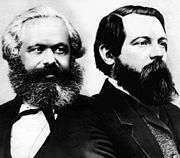 In a sociological sense, neo-Marxism adds Max Weber's broader understanding of social inequality, such as status and power, to Marxist philosophy. Strains of neo-Marxism include: critical theory, analytical Marxism and French structural Marxism. The concept arose as a way to explain questions which were not explained in Karl Marx's works. There are many different "branches" of Neo-Marxism often not in agreement with each other and their theories. The development of Neo-Marxism came forth through several political and social problems which traditional Marxist thought was unable to answer. Examples to this were: Why did socialist and social-democratic political parties not band together against WWI, but instead supported their own nations' entrance into the Great War? Why, although the timing seemed to be right for a workers' revolution in the West, had no large-scale revolution occurred? Also how at this time could the rise of Fascism occur in Europe? All these questions led to internal problems within Marxist theory, which caused renewed study and reanalysis of Marx's works to begin. Some political orders have used the term 'Marxist' as a slur - more so in America (see, the Red Scare). In some cultures, the term has become synonymous with debunked or dangerous ideas. This stigmatization of Karl Marx's ideas has led some thinkers to distance themselves from the label of 'Orthodox Marxist' or even the more generally term, 'Marxist'. Some thinkers who fit this category are David Harvey and Jacque Fresco. Therefore, to overcome this cultural limitation, some thinker such as Fresco, have re-branded their Marxist beliefs with other terms. In Fresco's case, he re-branded himself a 'Social Engineer'. One idea that many "branches" of Neo-Marxism share is the desire to move away from the idea of open, bloody revolution to one of a more peaceful nature. Moving away from the violence of the Red revolutions of the past while keeping the revolutionary message. Neo-Marxist concepts can also follow an economic theory that attempts to move away from the traditional accusations of class warfare and create new economic theory models, such as Hans-Jürgen Krahl did. Several important advances to Neo-Marxism came after World War I from Georg Lukács, Karl Korsch and Antonio Gramsci. From the Institute for Social Research founded in 1923 at the University of Frankfurt am Main grew one of the most important schools of neo-Marxist interdisciplinary social theory, The Frankfurt School. Its founders were Max Horkheimer and Theodor W. Adorno whose critical theories had great influence on Marxist theory especially after their exile to New York (Columbia University) after the rise of fascism in Germany in 1933. The Neo-Marxist approach to development economics is connected with dependency and world systems theories. Here the "exploitation" which defines it as a marxist approach is an external exploitation rather than the normal "internal" exploitation of orthodox/classical Marxism. In Industrial Economics the Neo-Marxist approach stresses the monopolistic rather than the competitive nature of capitalism. This approach is associated with Kalecki and Baran and Sweezy. It is a school of thought that believes that the means of knowledge, culture, and pedagogy are part of a 'privileged' epistemology. Where privilege is meant to mean the absence of injustice and the resultant undue enrichment in terms of production of knowledge. Neo-marxist feminism relies heavily on critical theory, inter-sectional feminism and postmodern thought, and seeks to apply those theories in psychotherapy as the means of political and cultural change. Teresa Mcdowell and Rhea Almeda use these theories in a therapy method called "liberation based healing", which like many forms of Marxism uses sample bias in the many inter-related liberties, in order to magnify the 'critical consciousness' of the participants towards unrest of the status quo. 1 2 Yates, Shaun (2014). CRIME, CRIMINALITY & SOCIAL REVOLUTION. UK: Clok. p. 44. ↑ Theresa Mcdowell "VALUING IDEAS OF SOCIAL JUSTICE IN MFT CURRICULA"
↑ Theresa Mcdowell "class and classism in family therapy praxis: a Feminist, neo-marxist approach"
↑ Rhea Almeda Cultural Context Model: A Liberation Based Healing Paradigm. Willis, Kate. Theories and Practices of Development 2nd Edition. London: Routledge. Neo-Marxism: An Attempt at Reformation.